Did you know our wood products and manufactured in the USA? Yes! All of our Real Wood Papers are grown nationally from sustainable forests. Large sheets are carefully extracted from nature’s canvas, pressed into thin sheets and backed with either paper or adhesive. Then they are cut and packaged into our assortment of fine products and ready to be shipped to you! 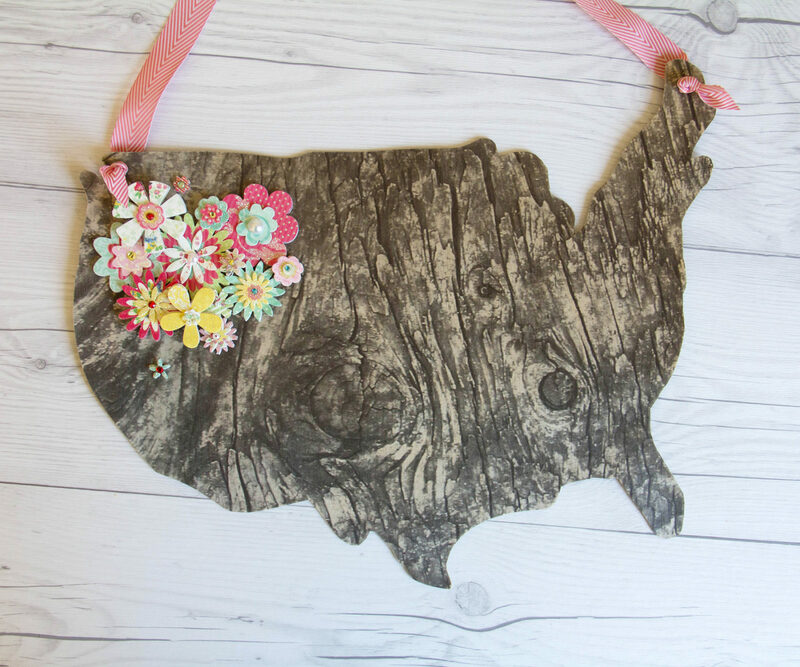 We created this USA Map home decor piece using a roll of our Rustic Birch Wood paper. Supplies: Rustic Birch Wood Roll, 12×18 piece of chipboard, USA map outline, ribbon, paper flower embellishments, hobby blade and hole punch. 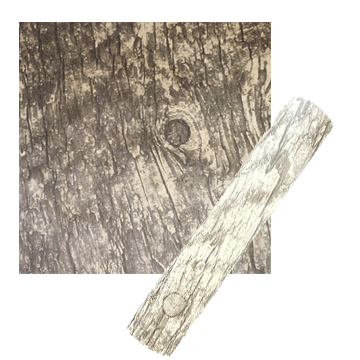 Line a piece of 12″ x 18″ chipboard will a roll of Rustic Birch Wood paper. Press flat and remove all air bubbles. Trace the outline of the shape of the USA on the backside of the chipboard. Make sure the USA map is flipped so it is right reading from the front of the project. Cut out the USA shape with scissors or a hobby blade. 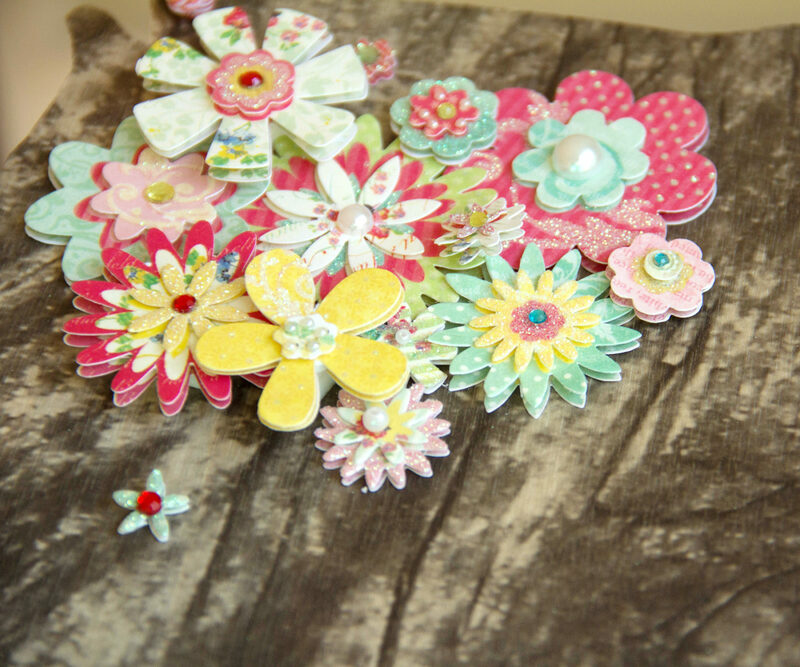 Arrange an assortment of paper flowers on top of the Rustic Birch Wood USA. We placed our flowers over the Pacific Northwest. Punch a hole on each and hand hang with ribbon. Real wood veneer with adhesive backing in a 12″ x 24″ roll. This roll is perfect for crafting, window signage, banners, bunting & more! Just like our wood sheets, you can run it through all the die cutting machines, trimmers and punches. It can also be stamped, painted, stained, inked, and run through your ink printer (using bypass). Package comes with 1- 12″ x 24″ roll. *Permanent adhesive is not recommended for use on wall; damage may occur. Test small area before applying. 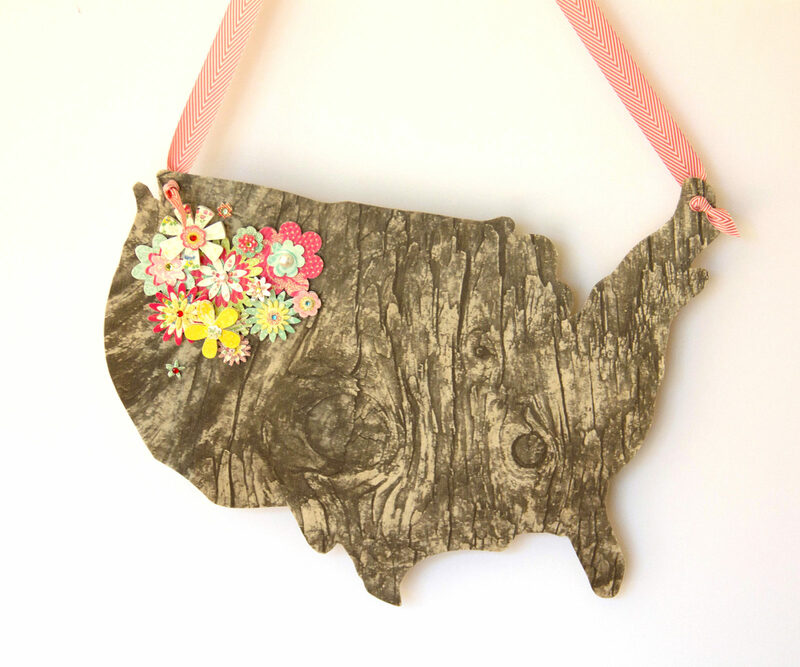 This entry was posted in Crafts & Kits, DIY Projects and tagged Home Decor, Map, Rustic Birch Wood, USA.